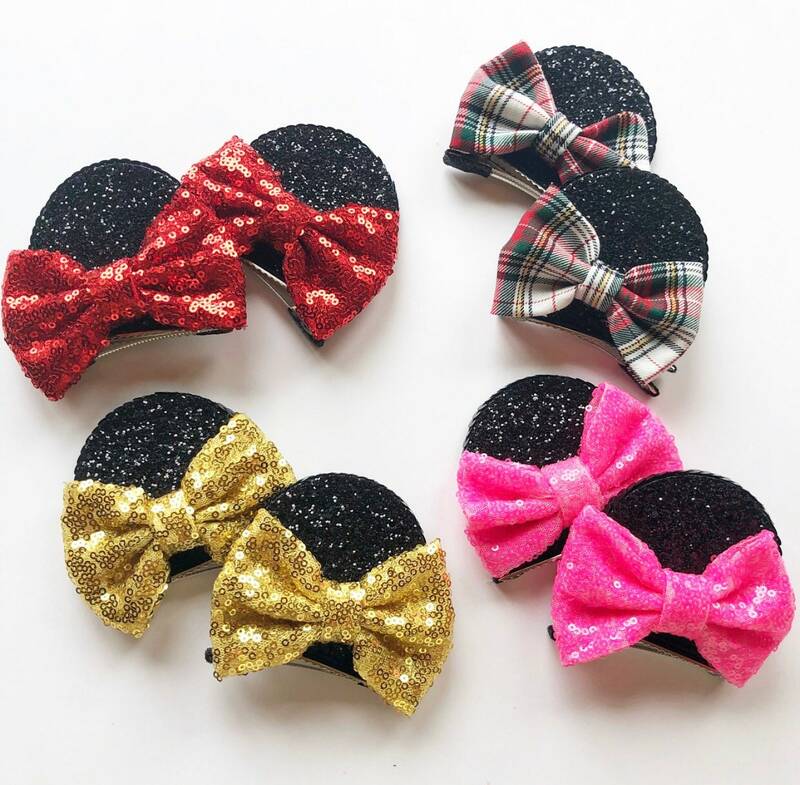 made with our Black Metallic Glitter Fabric adorned with a red sequin bow on each ear (shown) on 2.75” Aligator clips. These clips are so super cute and well-made! My daughter can’t wait to wear them on our trip! 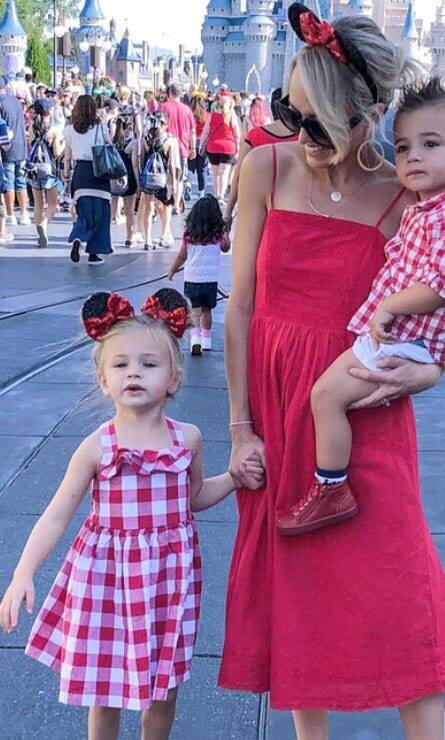 We absolutely love our Mickey Mouse ear clips!! My daughter wouldn’t let me take them off after wearing it all day, lol!! We also purchased the Frozen bow and a black and red plaid bow. we love them all!! !